This post is part of a social shopper marketing insight campaign with Pollinate Media Group® & Creative Options, but all my opinions are my own. #pmedia #Storagewithstyle http://my-disclosur.es/OBsstV You can buy this tote here. I have *way* too many planner accessories, you guys. Way. Too. Many. You can never have too many planner supplies! But I do have a ton. And honestly, they’ve kind of been weighing me down. Between the stacks of planner stickers, an overflowing box of washi tape, and four mugs full of pens (not counting the zipper pouch of pens I always take with me, or the extra markers I have stashed in a drawer), I kind of feel like there are planner accessories evvvverywhere. Let’s just say my planner supplies organization has been non-existent at best. And if I feel like it’s everywhere, you can only imagine the comments I get from my loving husband when the dinner table is covered in stickers and pens and washi (ha!). In theory, I keep all of my planners and planner accoutrements in a corner of my office until I need them. Unfortunately, I need them like EVERY DAY, so I end up spreading things all around the house. I decided it was time to get it all together. I went to Hobby Lobby and picked up a Creative Options Grab ‘N Go Medium Rack System (you can buy one here). Tthis is the medium-sized one…although I probably should have gone bigger! )The Grab N’ Go comes with three removable utility boxes. The boxes have compartments that you can customize using plastic dividers (included with the Medium Rack System). I decided to start off by making a cute label for the front of the Medium Rack System. You can download your own label, which will fit the Medium Rack System (and probably the large one, too) below. I have several options for you – the exact one I used, one with a blank space (use a permanent marker to write in whatever you’d like), and one that is plain white, if you want to print on white sticker paper. I used clear sticker paper (let it dry completely before you try to cut it out or write on it!). Once I had the label on, I started putting all of my planner supplies in their new home. I put stickers on top. I am overwhelmed by all my stickers (I got most of them at a planner conference!). I don’t know what the best way is, yet, to organize them so I can easily find what I’m looking for. Fot now, it’s easier for me to be able to shuffle through them all…and the top compartment was the perfect space! I knew I wanted most of my pens to be stored in the Creative Options Medium Rack System, so I dedicated the top drawer to my Sharpies and most-used pens. Second drawer? More pens and some other loose ends I had laying around. In the third drawer, I stored my washi, pencils, and a few more odds and ends. It all fit! And then I was able to put it where it belongs – in a corner of my office. I was also able to remove all the mugs from my desk, fill my washi box with pens I want to have nearby, and get rid of my previous sticker storage. Woohoo! 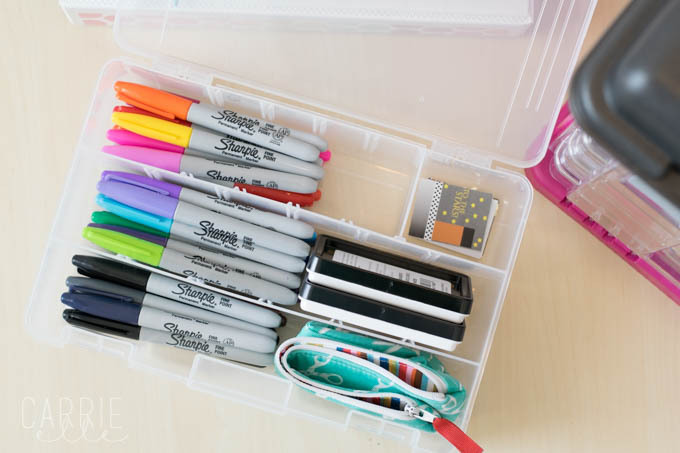 My planner supplies haven’t been this organized in, ummm…ever. It really feels great to have everything in one place, and I love how convenient the Grab ‘N Go Medium Rack System is…I can easily move it from my office to the dinner table when I need room to spread out (and then, easily pack it up and put it away!). You can learn more about Creative Options organizing products here. You can buy this same tote here. Click on the images belowfor more planer goodness! I definitely need to better organize my planner supplies. I recently got into using my planner more and also washi tape. Now I have a new addiction to washi tape. I just bought my first planner. I’m excited to decorate it. Thanks for the storage ideas! planner + organizing = sheer bliss I’m now in the motivated to go reorganize my supplies. Thanks for sharing at the #ThisIsHowWeRoll Link Party. Maybe try one of those photo albums. The ones you can carry around. For your sticker sheets I mean. I think this is a great idea. I haven’t tried this yet, but I love the idea…thank you!! I absolutely LOVE YOUR planner organization ideas!! Isn’t it great? It’s from Erin Condren! If you go here: https://www.erincondren.com/referral/invite/carrielindsey and search for “clutch” you’ll find a TON of different ones! I really need something on its own like what your marker pens are in, but I don’t need or want a tote that big. Wonder if I could find something similar for my markers. It does look like each compartment pops out, though; is that right? In any case, I need something that I can use to divide all my most used markers, that isn’t bulky or difficult to carry if I want to take it somewhere with me, as I have various small pencil cases and pencil totes and so on, with varied markers in each, and they seem to be everywhere, lol, and I have to keep switching between them as I need particular markers or pens. They make smaller ones! I have seen them at Hobby Lobby…they’re so cute. They might also have them at Michaels. I would think they’d be on Amazon, too. The compartments all pop out and can be moved around to make different sizes. I have tons of different totes and pouches, so I know what you mean! I’ve had this one for awhile now and it remains my favorite…you might look for a smaller one just for pen storage. I LOVE this tote. I totally need to do this! My current system isn’t working at all. Thanks for sharing a great idea! You bet! This has been such a lifesaver for me…I now have everything *mostly* contained in one place! What planner conference did you go to? It was Go Wild in New Orleans. 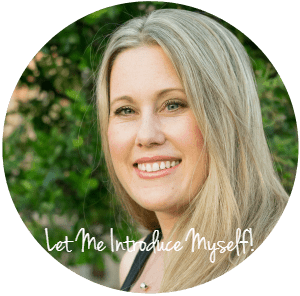 This year I’ll be speaking at Winter PlannerLand in Atlanta (in December). Have you been to any?? Where can I buy the multicolor wedding quilt print bag in the first picture? I have a washi problem too! I have another bin full of it. I’m trying to figure out the best sticker organization option…I like having them all in this tote, but I’ve had to cut a few sheets to make them fit, and they really aren’t organized…jut kind of tossed in there. I love the cart idea! Hi Dora! If you email me us at [email protected] we can give you a tracking update! Products usually arrive in 5-7 days but there was a mercury spill at the big USPS processing center in Dallas and a bunch of stuff got held up there. It should be on its way now though!